Our quality Esky Barrel holds over 70 cans with ice staying cold for days. 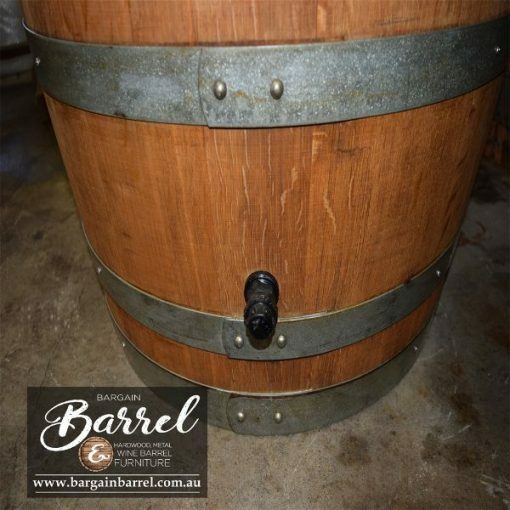 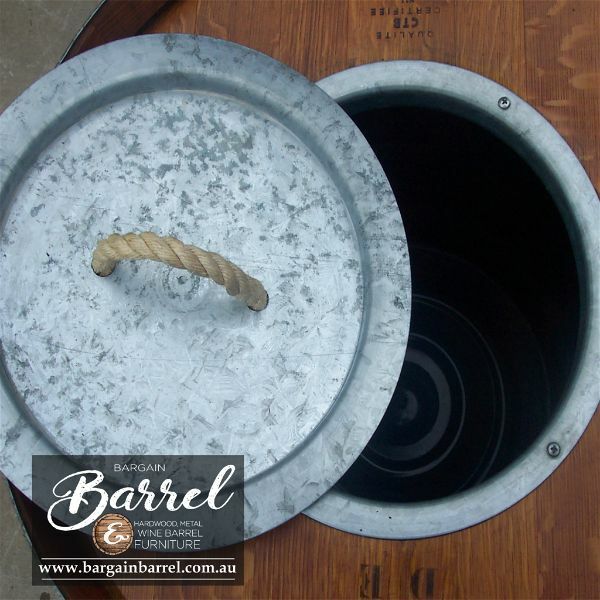 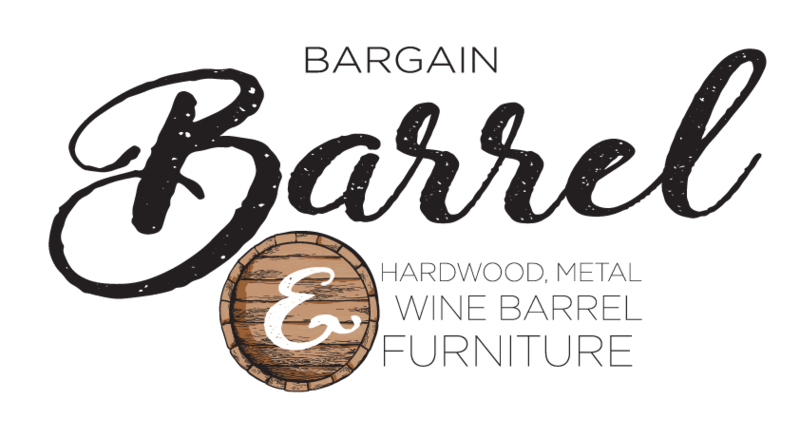 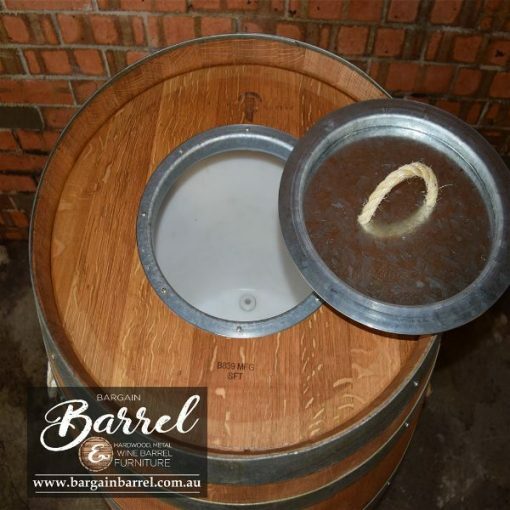 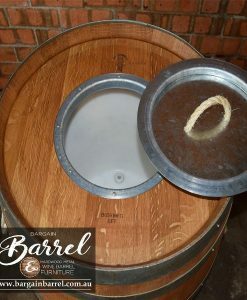 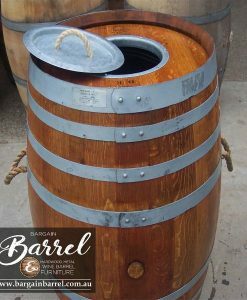 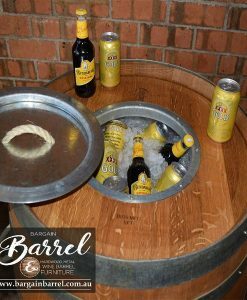 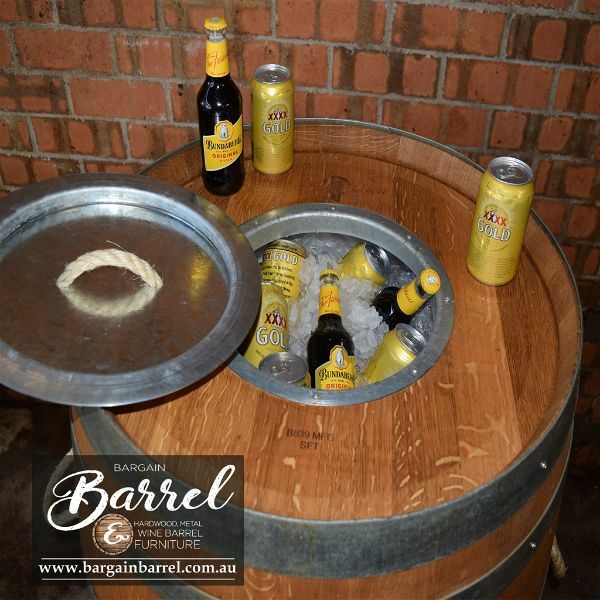 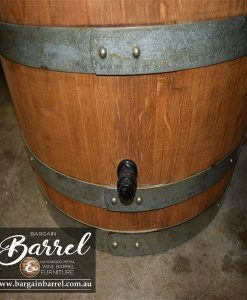 Our authentic Wine Barrels are fitted internally with a 70 L food grade Australian made high-quality plastic drum, insulated with foam and equipped with a plumbing system to drain the icy water. 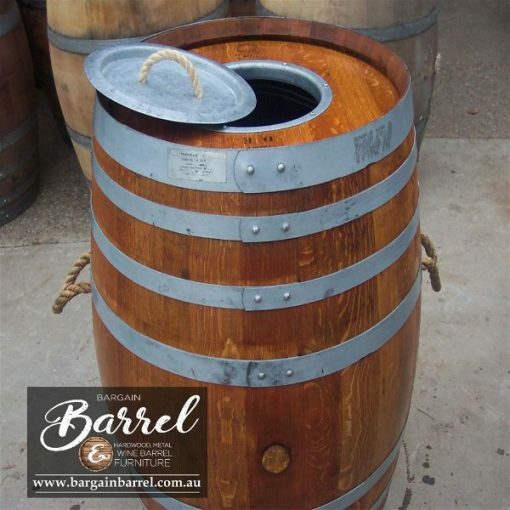 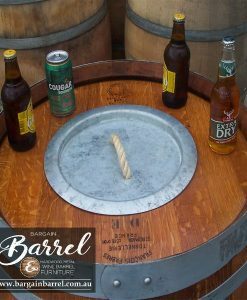 To maintain its authentic look our Wine Barrel comes with a metal lid on top to access cold drinks and has 2 anchored rope handles on either side to help carry from party to party. 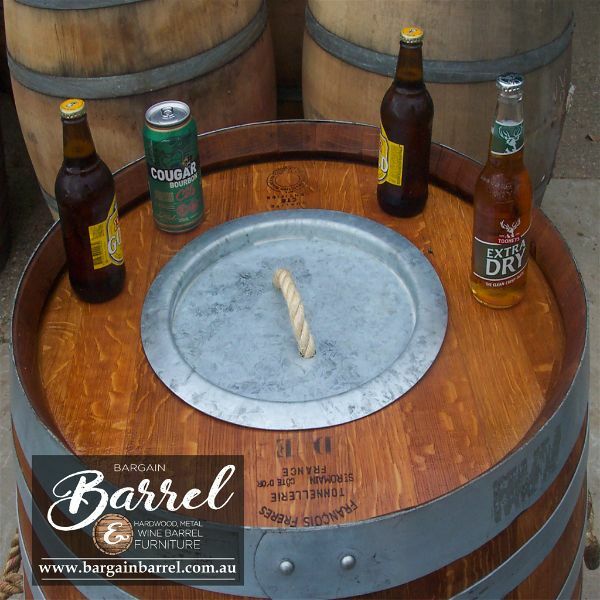 It has been carefully designed to allow continuous use of the barrel as an esky and table. The bands are tightly screwed to the barrel maintaining and finished in natural decking oil to maintain integrity. 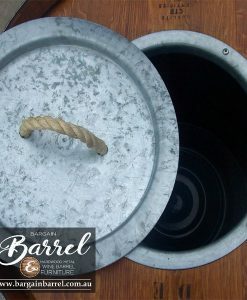 Great talking point for the entertainer.